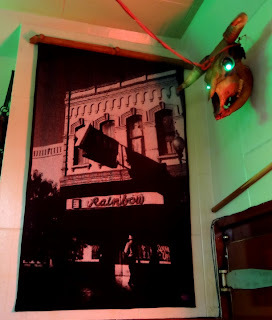 The current Rainbow Cafe is the oldest business in Pendleton, Oregon and the first brick building in town, est. 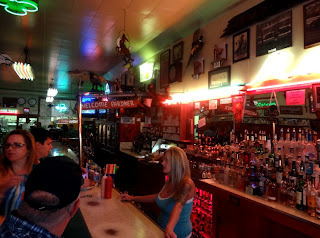 1883 as State Saloon and Banquet. 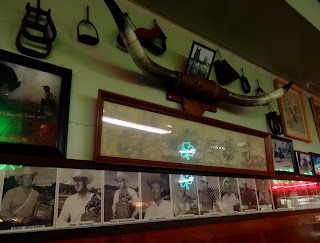 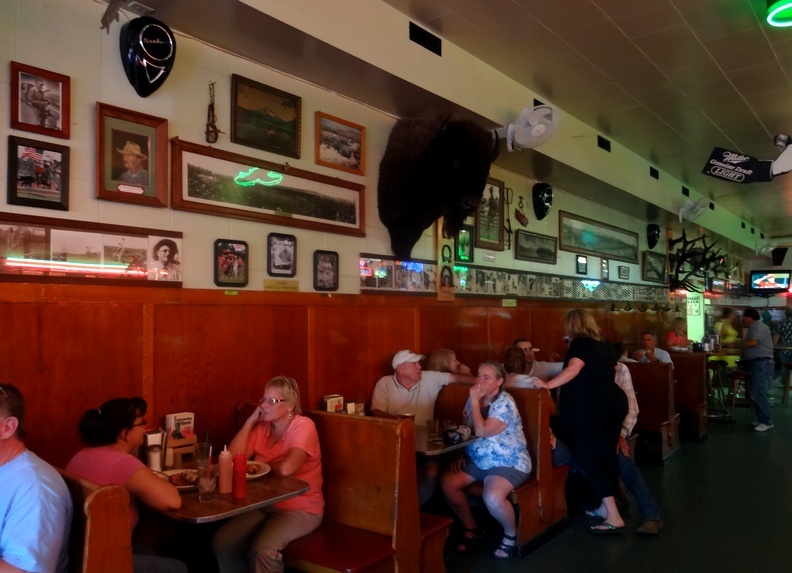 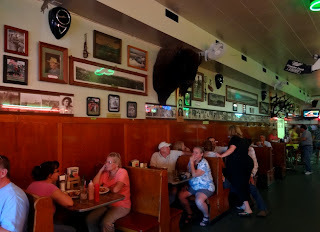 It is now a classic diner and dive bar, with historic photos and collectibles on the walls, along with some nice neon, much of it capturing the town's old west theme and famous rodeo. 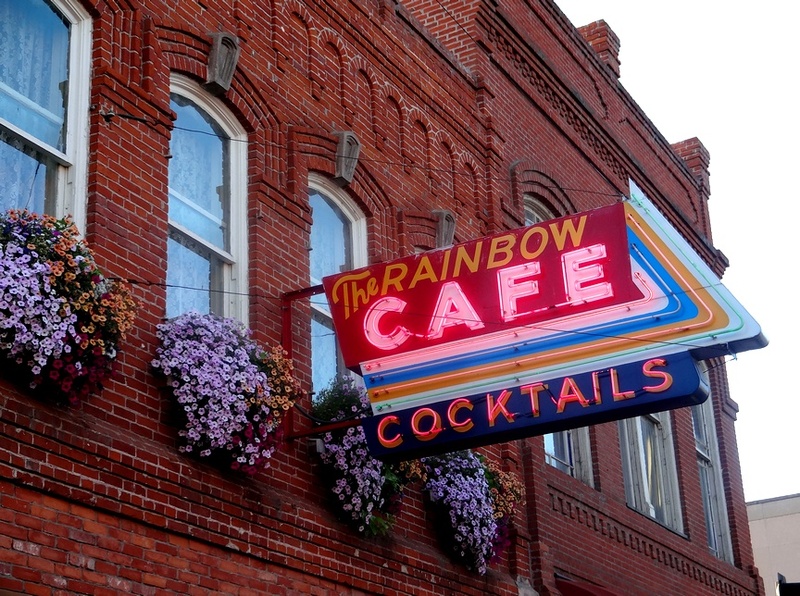 It had a major remodel in 2006, removing many layers of paint to expose the original brick facade and restoring the original neon sign. 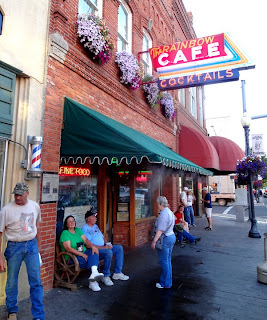 We chatted with some nice folks there, especially Rocky, who gave us some tips on this and other places in town.